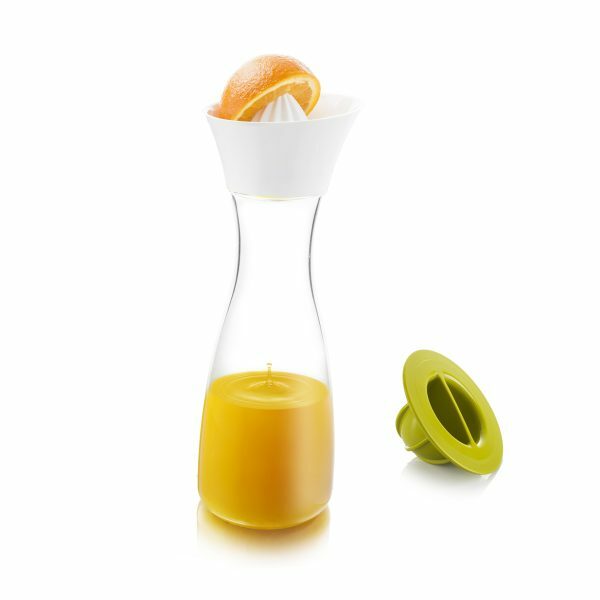 The Citrus Carafe has three components, each with a unique functionality. 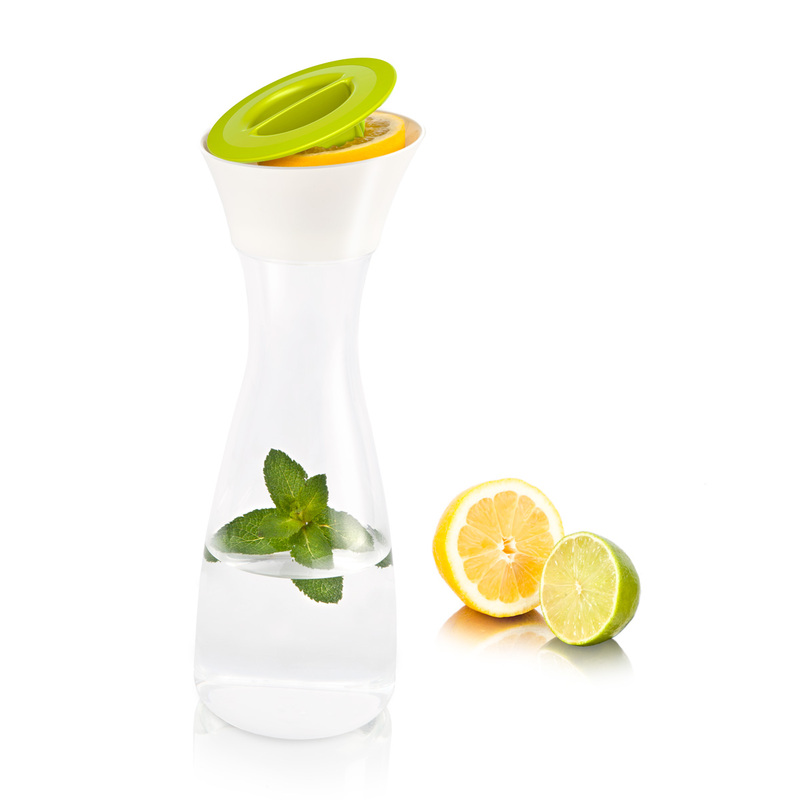 The beautifully shaped plastic carafe is virtually unbreakable! On top of the carafe, the bowl can be firmly attached. The filter in the bowl filters out unwanted ingredients when pouring out the water or juice. With the press, which can be clicked in the bowl, it is possible to juice oranges. 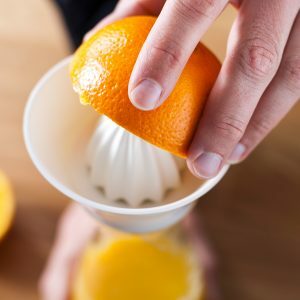 To squeeze citrus fruits, put half a citrus fruit in the bowl. 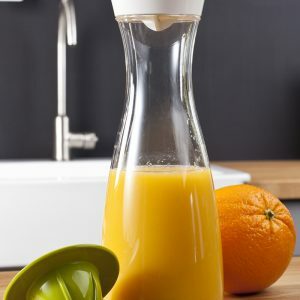 By twisting the squeezer into the fruit, the juice is released and runs through the bowl and into the carafe. 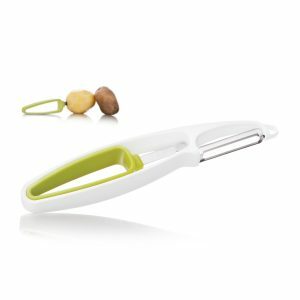 You can also use the squeezer separately for squeezing a lemon over a salad or baked fish. 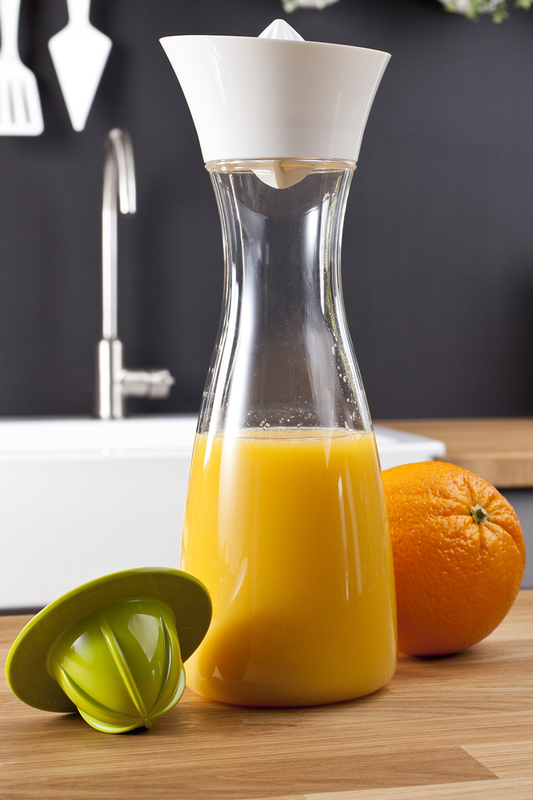 The carafe and bowl can be closed off with the squeezer to make sure that flies or dust will not reach your drink. SKU: 8714793476028. 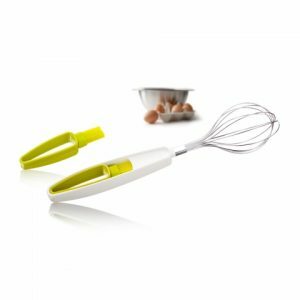 Categories: Decanters, PREPARE, SERVE, TABLEWARE.